London is notoriously an expensive place to visit. Food, drinks, entertainment and accommodation are all quite pricy. Budget travelers typically stay in hostels to keep their costs in check. Another option is a long term apartment. That may be your most efficient option if you're going to be in the city for any length of time. One popular area for budget travelers is Kings Cross. It's located in central London and borders northeastern Bloomsbury. There's a railway station that serves as a major access point for London from the north. This hostel is a good option for solo travellers, couples, female travellers, and both small and large groups. Located in Kings Cross, Clink261 is one of London's more popular hostels. From here it's easy to access many other parts of the city. It's a boutique style hostel that has both a personalized atmosphere with a lot of amenities. It's a very British style facility and the decor reflects this. The rooms are clean and modern and there is a full kitchen available to guests. There is also a large lounge area where you can play Wii or hang out with other guests. There are a range of rooms available including mixed dorms, female only dorms, and private rooms. Other perks for guests including free buffet breakfast, free bed linens, luggage room storage, safety deposit boxes, movies shown nightly, and free walking tours of the city. This hostel is a good option for solo travellers, groups, and couples. Journeys London Kings Cross is the perfect base to explore London. It provides access to public transportation which reaches many neighborhoods throughout the city. The rooms are each unique and modern. There are "triple bunk beds" in the dorms that each have their own curtain for privacy, a reading light, and a power supply. The staff is friendly and fun and will work hard to make sure you have a good time during your stay. Other perks for guests include free wi-fi, free breakfast, free bed linens, ticket booking, luggage storage, security lockers, and a full kitchen. You can also take advantage of the common room, large screen television, and laundry facilities. 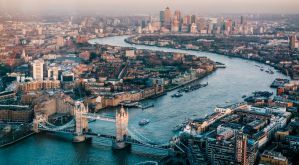 This hotel is located conveniently close to the Kings Cross Station so you will have connection to the city center and the five tube lines that pass through the station. You can reach Liverpool Street in less than 10 minutes, Cannon Street in about ten minutes, and Covent Garden in five minutes. There are 35 rooms available with attached, private bathrooms. Every room also has a television with dvd player, central heating, a safety deposit box and free wi-fi. There's also a breakfast available to guests that includes ham, cheese, boiled eggs, yogurts, toast, butter, and more. This hostel is a good option for solo travellers, families, and couples. 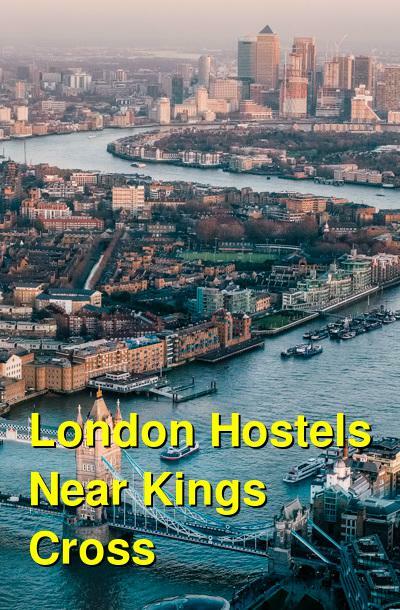 This hostel is located just across the street from the St Pancras station. It's also just minutes from Euston and Kings Cross. It's near many different markets, the London Zoon, the British Library and the British Museum. There are dorm style rooms available that sleep either 4, 5, or 6 people. There are also private rooms available that are twin or double in style.